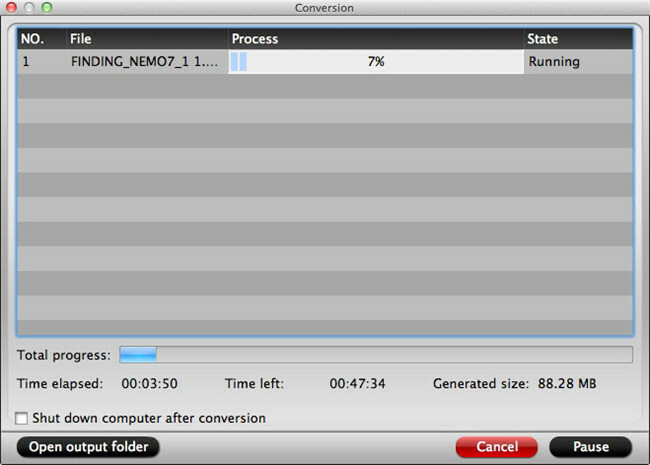 Pavtube iMedia Converter for Mac is an easy-to-use program, which just needs several clicks to complete the conversion. 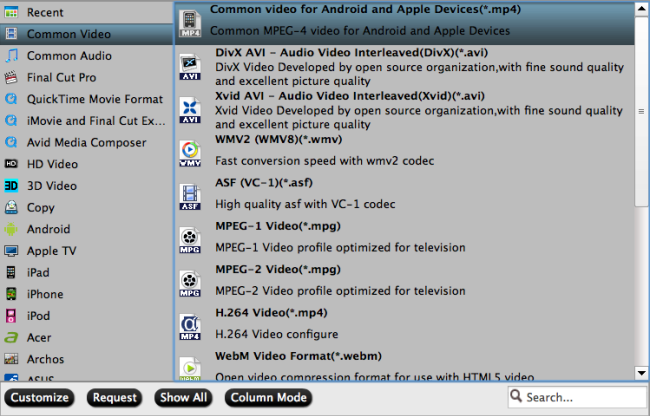 This part presents the details on how to load files, preview & take snapshots, select output format, merge, split & select subtitles and audio track, edit video and start conversion. B. Click “Load file(s)” button or “Add video" button to import source files. 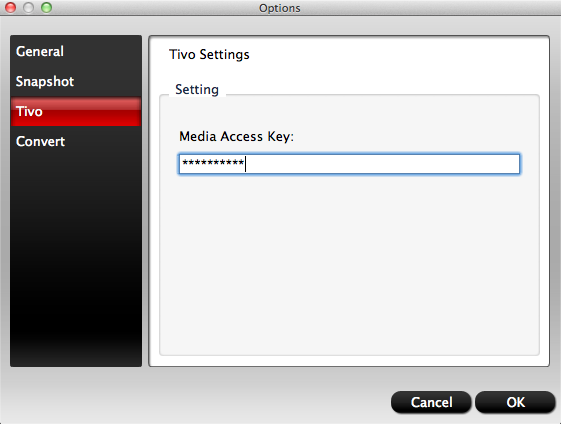 If you are loading TiVo shows to Pavtube iMedia Converter for Mac, please enter your Media Access Key as the program asks, and then click "OK" button to confirm. 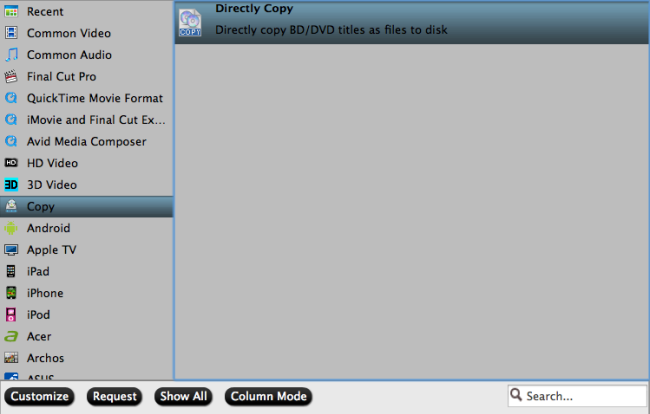 By choosing Copy > Directly Copy, you are ale to copy the selected movie file in its original format without quality loss. When directly copy a DVD video, you will get .vob as output, and when directly copy a Blu-ray title, you will get .m2ts as output. Kindly note: If you want to preserve the Blu-ray/DVD’s original file structure without changing anything, you needn’t set here, just use Copy the entire disc feature. 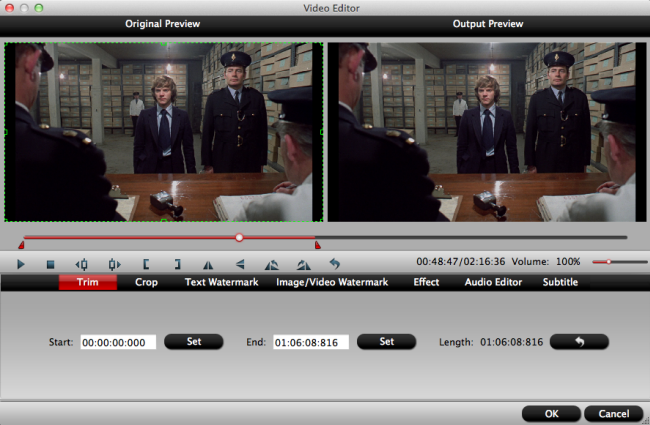 There is a bonus feature for you to select wanted subtitles track, and audio to be preserved in the converted files. 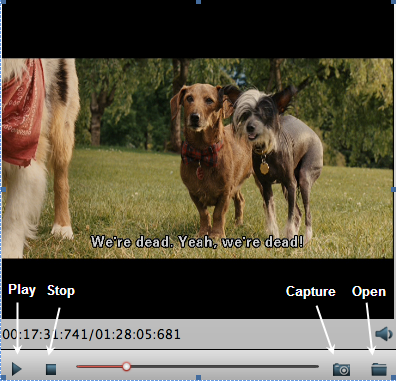 To enable this feature, you should make sure there are multiple subtitles/audio tracks in your source file. Check the movie titles you want to rip. 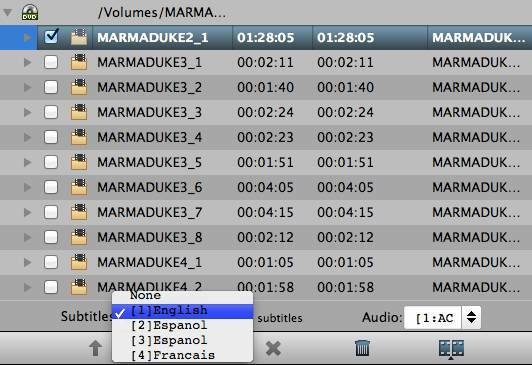 Click the drop-down list of Subtitles, then all the subtitles info in the Blu-ray/DVD movie will be shown clearly, so you can select your needed language as your subtitles freely. 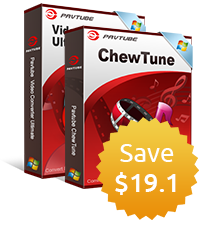 What’s more, Pavtube iMedia Converter also offers an option called Forced subtitles, which enables you to see subtitles only when actors are speaking a different language. 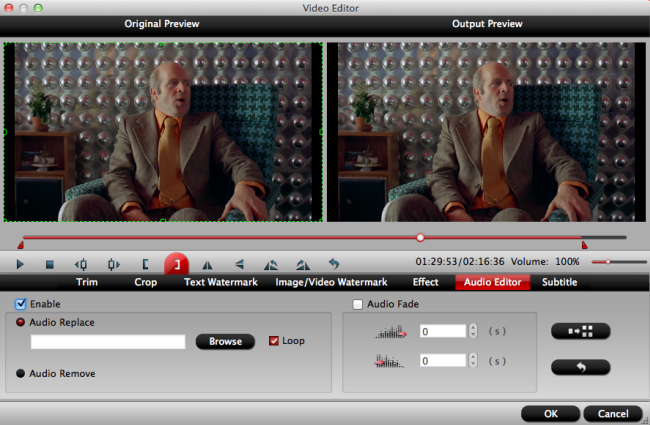 For instance, if you specify English (your mother tongue) as your subtitles, and meanwhile tick off “Forced subtitles” option, then when actors are speaking English, no subtitles will show up, but when they are talking with each other in French, the English subtitles will appear accompanying with the French. To select your desired audio track, just click the pull down menu of “Audio”, and then the popup drop-down list will give you the detailed information of all audio tracks, including language, audio codec and stream ID. 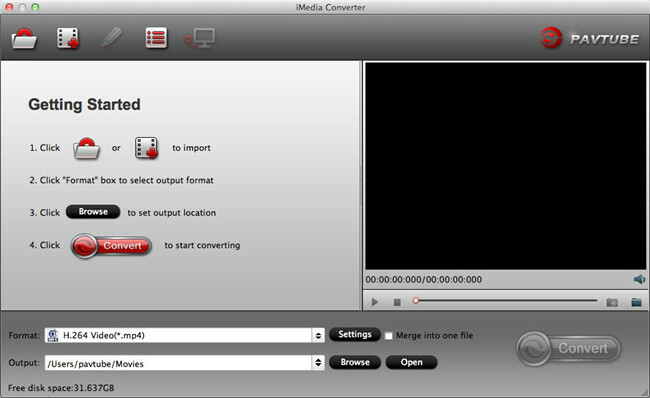 Pavtube iMedia Converter for Mac is not only a converter program, but also a simple and easy video editor. 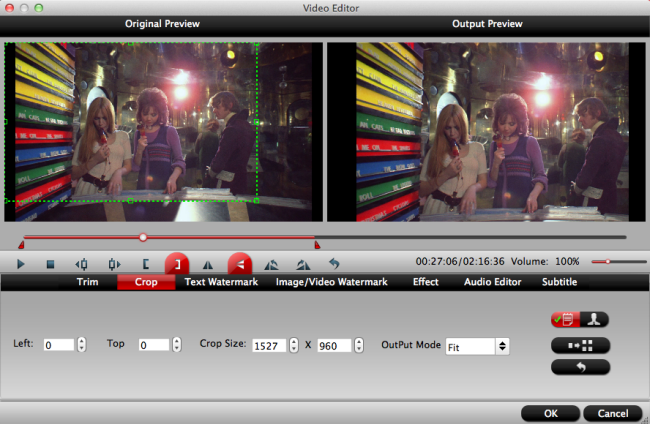 On the “Video Editor” Window, you can play and preview the original video and output effects. 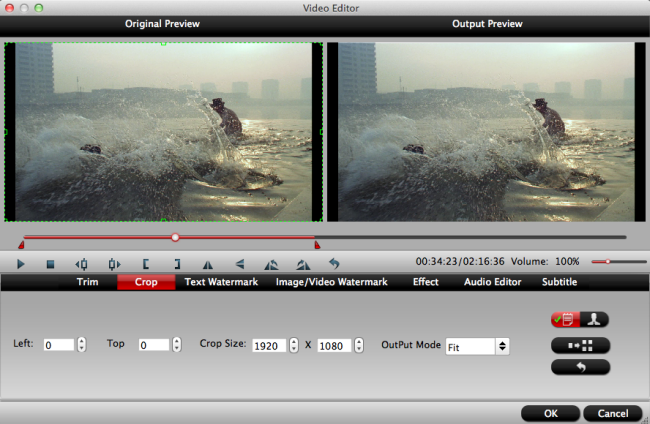 Also you can flip video, trim, add 3D effect, reset, and adjust volume. Rotate counter-clockwise: Click to flip the image 90°towards left. Rotate clockwise: Click to flip the image 90°towards right. 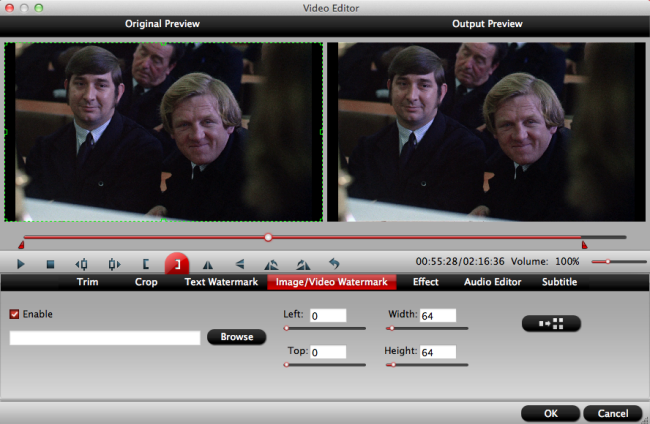 Pavtube iMedia Converter for Mac offers "Previous Frame" and "Next Frame" options for users to select frames and trim accurately. There are "Simple Mode" and "Advanced Mode" under Crop feature. 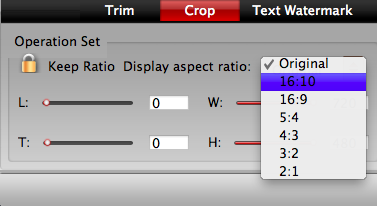 In "Simple Mode", you can customize values in the box of "Left", "Top" and "Crop Size" to make your crop decision. 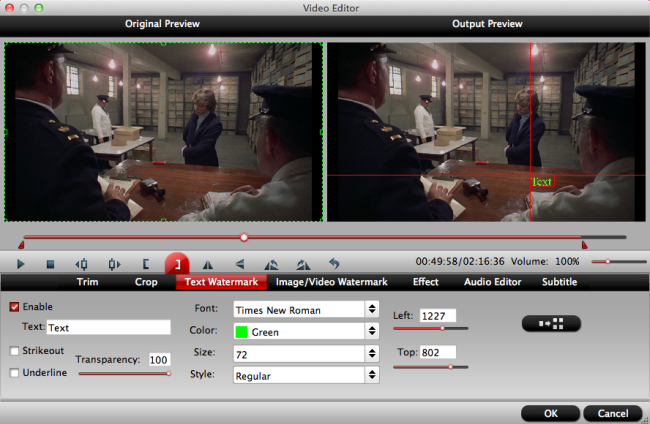 Once you selected a "Display aspect ratio", the "green crop frame" will keep this ratio to crop video and you are able to preview the final effect in real time. 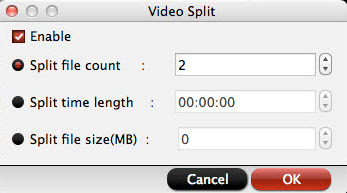 If you want to keep the same aspect ratio in your final output files, do remember to set the Video "Size (pix)" in "Settings" section as the same ratio as display aspect ratio. For example, if you want to export a file with "16:9" aspect ratio, firstly, you choose "16:9" in "Display aspect ratio", and then go to "Settings" section to adjust the Video "Size(pix)" as 1280x720 or 1920x1080. After finished, click "OK" to confirm. Effect: Under Effect tab, you can add special effects like Simple Gauss Blur, Flip Color, Invert, Aged Film to your source video. 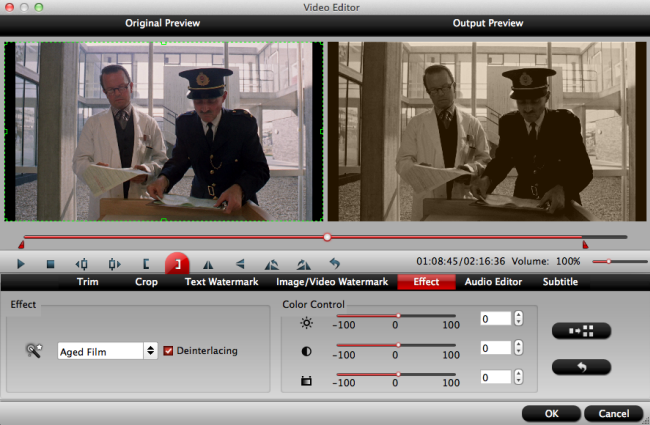 In Color Control section, you can correct color by adjusting brightness, contrast, and saturation. 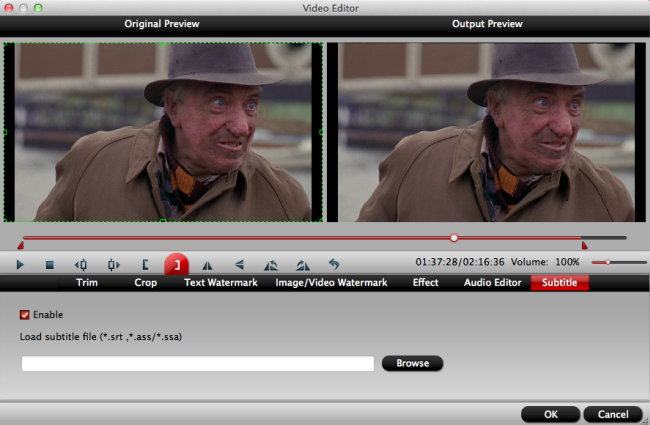 You can also tick off “Deinterlacing” to keep good image quality.